Four friends devise a plan to turn Smitten, Vermont, into the country's premier romantic getaway-and each finds her own true love along the way. With Smitten Lumber closing, residents wonder if their town can stay afloat. Then four friends and local business owners-Natalie, Julia, Shelby, and Reese--decide the town is worth saving. How will they do it? 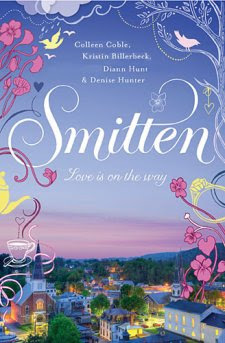 They'll turn Smitten into a honeymoon destination! As Natalie, Julia, Shelby, and Reese work to save the town, each discovers romance in her own life. Meanwhile, the faith of a little child reminds the whole town what it means to have real faith in the God who is the always and forever Love.